When I see any unique food events, it always piques my interest. When I know the food is going to be delicious, I clear my calendar and make sure I can attend. This is exactly what I am doing for the Hoosier Roots Pop-up Restaurant that’s rolling into Brownsburg, Indiana, April 20 and 21. 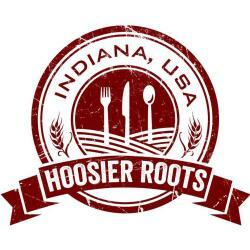 You may have heard of Hoosier Roots since Greg Steller, the owner, runs a food truck and catering business. Greg catered a large event for me in the past, so I can tell you that his food is amazing. I had several guests also complementing the food at this event, and some even asked if I could get his recipes. The food is going to be family style, so the entrees will feed 2-3 people. He explained it as a country bistro style. Think Bucca Di Beppo servings but with beef roast instead of lasagna. The food prices are very reasonable with entrées ranging from $19-$25. Beer and wine will be served at this event along with a few different Sangria options. He will use a renovated, old farmhouse that was once a bed and breakfast in Brownsburg close to the B&O Trailhead. Limited seating will be available, so he highly recommends making reservations soon. Pop-up restaurants aren’t as common in the Indianapolis area quite like they are on the east and west coasts, so I was excited when I heard Greg planned to do this event.